General Electric, an original member of the Dow when it was formed by Charles Dow in 1896 and a continuous member since 1907, will be replaced in the 30-component stock average by drug store chain Walgreens Boots Alliance Inc.
General Electric Co has lost its spot in the Dow Jones Industrial Average after over a century in the blue chip stock index, a new blow to a company that once towered over the American business landscape but is now struggling to retain its standing as an industrial powerhouse. S&P Dow Jones Indices said on Tuesday that GE (GE.N), an original member of the Dow when it was formed by Charles Dow in 1896 and a continuous member since 1907, will be replaced in the 30-component stock average by drug store chain Walgreens Boots Alliance Inc (WBA.O) prior to the start of trading on June 26. GE's stock slipped 1.5 percent in after-hours trading following the announcement while Walgreens jumped 3 percent. A decade and a half ago GE was the world's most valuable public company. But it foundered in several key industrial markets in recent years, and a diversion into financial services steered it into the eye of the global financial crisis in 2008. It now ranks as the sixth smallest member of the Dow by market value and carries the index's lowest stock price, making it the least influential component of the price-weighted average. Its stock has fallen nearly 80 percent from highs in 2000. Last month, Chief Executive John Flannery warned that GE may not be able to pay its 2019 dividend. "It was at one time perhaps one of the quintessential U.S. companies, and like others that have been taken out of the Dow, it's a reflection that they're no longer seen in that light," said Rick Meckler, a partner at Cherry Lane Investments, a family investment office in New Vernon, New Jersey. The shifting sands of the Dow are testament to the various companies that were unassailable household names for decades before becoming the victims of an evolving economy. Some simply disappeared, while others found new life even if they did not reclaim their prior economic influence. They include Eastman Kodak, Sears Roebuck, International Paper, Goodyear, Bethlehem Steel, Westinghouse, General Motors (GM.N) and Chrysler. Co-founded by inventor Thomas Edison, GE was the largest U.S. company by stock market value starting in 1993, with brief interruptions from Microsoft Inc (MSFT.O) until Exxon Mobil Corp (XOM.N) overtook it in 2005. With the addition of Walgreens, the Dow will better reflect the role of consumers and healthcare in the U.S. economy, S&P Dow Jones Indices said in a statement. While analysts had anticipated GE's exit from the Dow because of its falling share price, it is a blow to the company to lose its status as the only original member of the iconic index. GE did leave the Dow after the index was founded in 1896 but rejoined in 1907 and has been a constant member since then, according to S&P Dow Jones Indices. In a statement, GE said: "We are focused on executing against the plan we've laid out to improve GE's performance. Today's announcement does nothing to change those commitments or our focus in creating in a stronger, simpler GE." Some index watchers had expected GE's troubles to lead to its removal from the elite index. Not all companies that have lost their place in the Dow have gone to their graves. Bank of America (BAC.N) has outperformed the Dow by 46 percentage points since it was removed in 2013. GE had fallen on hard times even as former Chief Executive Jeffrey Immelt sought to jettison ailing businesses and focus on the company's industrial roots in power plants, jet engines, locomotives and other large equipment. Its industrial software business did not perform as expected, forcing GE to scale in its ambitions last year. Immelt also built up GE's exposure to manufacturing and servicing coal and gas-fired electricity plants, only to see demand for such plants fall dramatically in recent years as sales of suddenly cost-competitive renewable wind and solar systems increased. 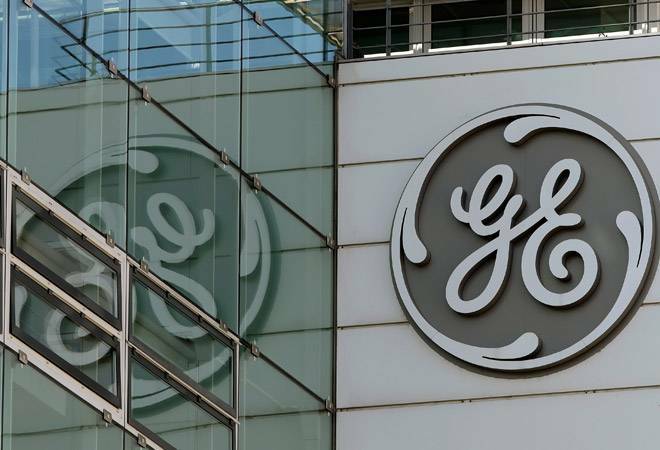 Aiming to generate cash and restore profitability, CEO John Flannery, who took over from Immelt last August, is exiting $20 billion in additional GE assets, including the locomotive business and a unit that makes small power-plant engines. Changes to the Dow are made on an as-needed basis and selection is not governed by quantitative rules, according to published methodology for the index.